Did Palmer Luckey save the virtual reality hangout? Virtual reality hangout AltspaceVR late last month said it no longer had the cash to keep the lights on after a last-minute funding round fell through. The company scheduled a big farewell party on August 3 and upon its conclusion, the service was to be shut down… except, it wasn’t. A handful of servers hosting the community persisted over the past couple of weeks and now, we’ve got some official news on the matter. AltspaceVR is going to live on. 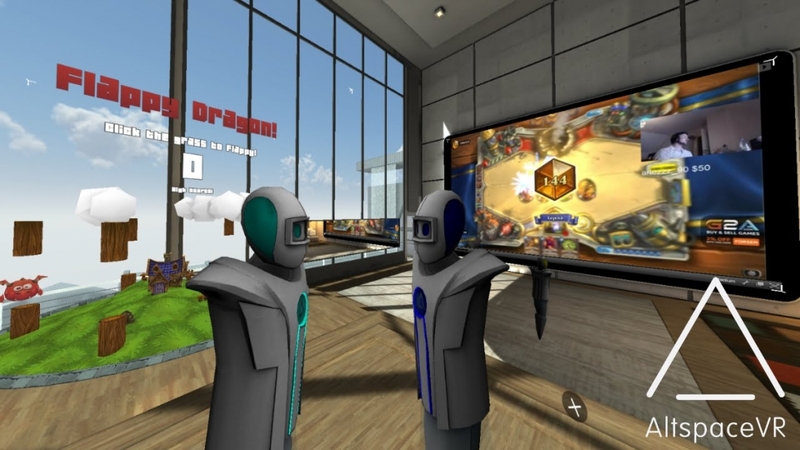 In a recent post on its website, the company said it is now deep in discussions with others that are passionate about AltspaceVR and want to guarantee the “virtual oasis” stays open. Details regarding who might be stepping up to the plate weren’t mentioned although the site did say that it feels confident telling its community that they don’t need to find another place to meet their friends in VR. One person that could be pulling the strings behind the scenes is none other than Palmer Luckey. The Oculus co-founder in late July asked his followers on Twitter if he should try to save AltspaceVR (the vote was 67 percent in favor of doing so, BTW). It may or may not be a coincidence that Luckey earlier today shared the news that AltspaceVR was back in business. AltspaceVR said it is working to pump some life into the community and will be revealing more news on the matter as soon as it can.